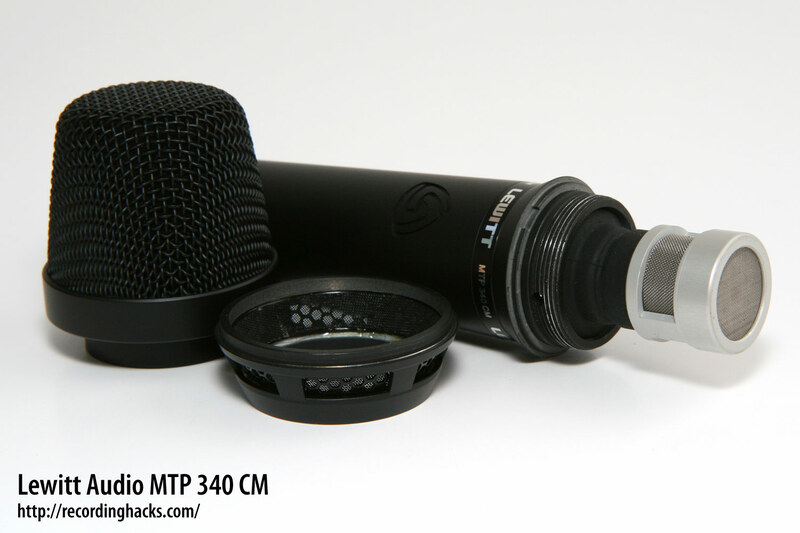 The MTP 340 CM is a handheld condenser microphone with a small-diameter electret capsule. 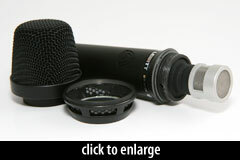 It is intended primarily for stage vocal applications. The mic’s frequency response is flat from 150Hz–3kHz, with a gentle presence rise (+3dB) through 15k that is offset by a sharper ~2dB dip at 8–9kHz. The cardioid pickup pattern is consistent above 1kHz. At 3.1 mV/Pa, the mic is slightly more sensitive than Lewitt’s handheld dynamics, e.g. the MTP 540 DP at 2 mV/Pa, but less sensitive than comparable condensers such as Blue’s Encore 300 (11 mV/Pa), Neumann’s KMS 104 (4.5 mV/Pa), or Audio-Technica’s AE3300 (7.9 mV/Pa). 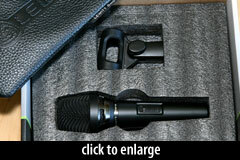 Despite the similarity in model names, the MTP 340 CM uses a different condenser capsule than the LCT 340 pencil mic. 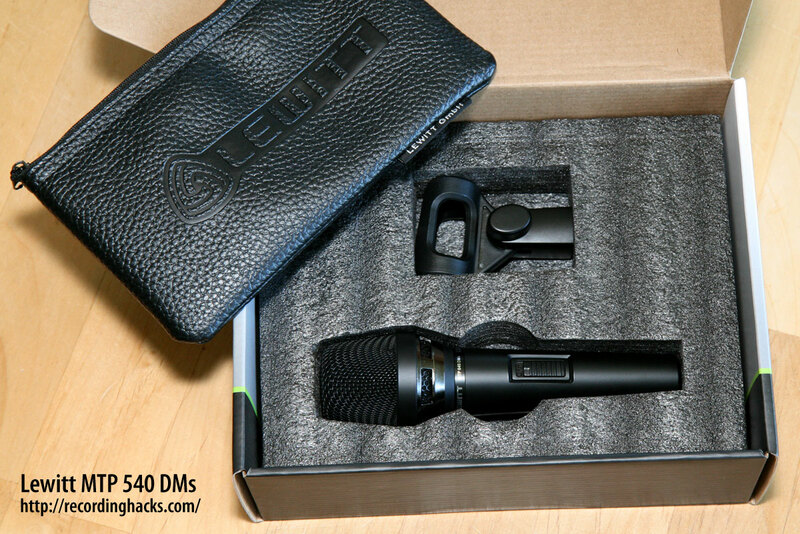 Both are packaged identically to the other MTP mics (such as the 540 DMs pictured at right); they ship in a padded cardboard box, with a mic clip (Lewitt p/n MTP 40 MCs) and an embossed leather storage pouch (p/n DTP 40 Lb). The Lewitt Audio MTP 340 CM is also known as: MTP 340 CMs.